working together to preserve our local history. The Questers adopted Thornton Mansion to prepare the home for special events and research artifacts for staging. Grant monies from International and Missouri Questers include replacement windows, dining room furniture, china, rug, tall case clock for Thornton Mansion, ice box, and pie safe for Stollings Farm House. The Questers have added to the grant money from funds they raised working in the Smoke House selling refreshments during numerous events over the years. Those proceeds purchased an apple press, coffee grinders, outdoor school bell, chamber pots, pictures, love seat and chair for Stollings Farm House. Boy Scouts, Cub Scouts and Venturers from the surrounding metropolitan area play a vital role at SCLHM. Each year, troops provide hundreds of community service hours to help with maintenance, ground enhancements, and building benches, bat and birdhouses. In return, they use our grounds for overnights and host meetings. We cannot THANK them enough for their dedication to help with projects and keeping the museum grounds clean for our visitors. 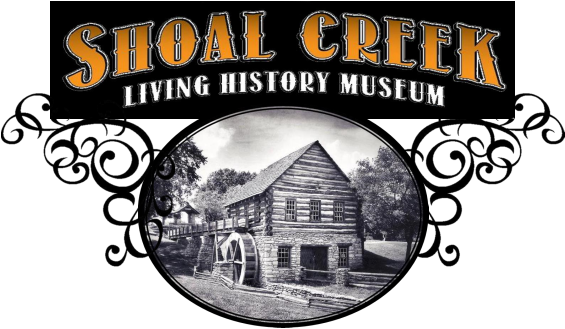 Testimonial from Shoal Creek Living History Museum: David Vice comes highly recommended and if you want to check out his work, then come visit the museum. Every building was personally scraped and painted by him, and he went over and beyond with additional repairs, treating it like it was his own home either at no charge or at a very fair cost. He is reliable, dependable, honest, and finished ahead of schedule. Testimonial from Shoal Creek Living History Museum: Our buffalo search was quite a journey, but the long road finally came to an end once we met Michael and Amy Billings, owner of Buffalo Lodge. They truly care about their buffalo and have been very generous to Shoal Creek by helping us increase our herd from one lonely matriarch to now six. The buffalo are roaming again at Shoal Creek! We encourage you to visit their location and be sure to mention how you heard about them.